Originally published in 2015 as part of the Commentary to the First Complete Edition of the extended version of The Duke’s Children by the Folio Society, in two limited fine edition formats. The Duke’s Children, the last, and perhaps the greatest, of the Palliser novels was serialised in All The Year Round from October 1879 to July 1880 and several editions came out in book form later that year. Anthony, however, had written it from May to October 1876 while staying in Switzerland with his wife, Rose. The novel purports to be taking place during the 1870s in a world that was peculiarly Trollope’s own. However, the background of the story is firmly based in a Victorian England that was possibly at the zenith of her power and influence. During the century horse drawn carriages had ranged from broughams, phaetons and curricles to governess carts and post chaises. These, together with the horse itself, remained the principle forms of transport but the railways, introduced from the 1830s, were having an enormous effect and provided a relatively straightforward method of long distance travel for many who had never previously left their local area. Several of Trollope’s characters use the railway and there are many references to the newly built London Stations. In his later works such as The Duke’s Children there is also mention of the use of the London underground system which was being developed during the 1860s and 70s. Full skirts and crinolines had given way to the sophistication of the bustle and the characters of this novel need to be judged against the manners and mores of their times. These can be considered under several broad headings. This was a period when social class and status were still rigidly defined, although a strong, and increasingly wealthy, middle class tended to have aspirations for advancement and influence. The way one dressed, spoke and acted would strongly indicate ones position in Society and strong religious beliefs would generally enforce and support the need for consistent and respectable behaviour. Today this might seem very restrictive and unreasonable. Even then much more liberated manners were entering the country from America and elsewhere and might be viewed as a refreshing change. In the novel the Duke wishes his children to marry within their own class and parentage is important to him. This was a view that was fast becoming out of fashion and it soon became clear that wealth and intelligence could often overcome traditional values. The attractive Isabel Boncassen was to become one of many wealthy American heiresses who were able to enter the highest echelons of British Society. However, they were not always to lead particularly happy lives! At the higher levels of Society, rank and precedence remained paramount. At any formal dinner, the guests waiting in the drawing-room would be rigidly segregated. The host would lead out the woman of the highest rank and the hostess would be led out by the highest ranking man. These would sit at their right hand. A duchess would precede a countess. A peer would precede a commoner and a married sister would precede her unmarried elder sibling. Titles of equal rank would be arranged by the antiquity of their date of creation. Women, such as Lizzie Eustace in The Eustace Diamonds were allowed to retain their position and title even if they contracted another later marriage of lower rank. This was one of a woman’s few privileges. Further down the social scale custom and etiquette was, if anything, more pronounced. Wealthy ladies could change dress several times and might, in one day, wear a morning dress, a walking dress, an afternoon dress, a dress for evening dinner and a ball gown for a later engagement. Less affluent individuals might not be able to achieve this but, even so, certain customs were demanded. No ‘lady’ would go out for a walk or for a carriage drive without first pausing to put on her hat and outdoor ‘things’. This might simply be for a walk in the garden. Death was a frequent visitor to many families of every class and this would entail strict mourning followed by half mourning for set periods of time. At the higher levels of Society this could be indulged in with many variations but, as death tended to come often and infant mortality was high it regularly became the custom for older ladies to wear black or dark colours all the time. Maiden ladies, widows and even relatively young mothers might wear black for the rest of their lives. A new black dress might be used for Church attendance while the more worn out versions would be used for everyday work around the home. Despite this comprehensive dress code, only men were generally permitted to attend a graveside funeral as it was not considered appropriate for women to attend. After marriage it was less common for a woman to display much of her hair at any time and she would normally wear some form of cap when indoors. The men faced similar restrictions. If they had any aspirations to be considered a ‘gentleman’ they would certainly not wish to be seen in the street in their shirt sleeves or without a hat. This would be a very shameful experience. 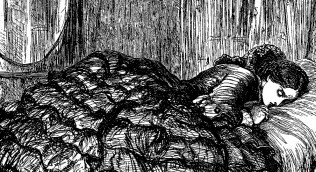 In Marion Fay the young Lord Hampstead is forced to leave the deathbed of Marion in great distress. His intention is to leave the house but he is forced to return once again to the room to collect his hat. Similarly, when Phineas Finn, in Phineas Redux tries to escape from the bullets of the unbalanced Mr Kennedy in Macpherson’s Hotel, ‘his first difficulty’ is that he has left his hat behind in Mr Kennedy’s room and he feels unable to escape into the street without it! Many of Trollope’s characters are restricted by a need to observe ‘correct’ and accepted forms of behaviour. Throughout his works, Anthony displays a very tolerant and understanding attitude towards the situation of women within his books and this extends to those who might normally be ostracised by every level of Society at this time. He displays an amazing insight into women’s feelings and aspirations and amply demonstrates this through his construction of their correspondence and speech and his descriptions of their thoughts and behaviour. In The Duke’s Children many of the female characters enjoy a wealthy lifestyle and occupy a high position in Society. However, in order to understand their motivation and feelings it is necessary to remember that they were all living under many restrictions and limitations. Although they were not alone in this in Victorian England their situation was, perhaps, particularly hard. During the 19th century many views about women’s role in Society were being debated. Men and women had been considered to have very different purposes in life and, in general, this relegated the woman to child-bearing and the home. The personal views of Anthony may often seem a little ambivalent. In his lecture on women’s issues, The Higher Education of Women written only a little time before this novel in 1868 he seems to espouse the view of natural selection brought about by a benign and considerate God. In his novels, however, his arguments in favour of change can be very persuasive. He is sympathetic and supportive for the situations that women find themselves in and certainly deplores the double standards between the sexes. He is strong in support for the possible regeneration of the repenting ‘fallen woman’. Throughout the Palliser novels we are encouraged to understand the frustration of intelligent women being denied influence and power and he often shows sympathy for those who may be crossed in love. He was influenced by many strong women during his life, ranging from his workaholic mother, Fanny, to his supportive wife, Rose and his late friendship with the American, Kate Field, who demonstrated what a thoroughly modern woman could achieve. One area where women could now make a mark for themselves, (although sometimes anonymously) was in the field of writing and Anthony had several good friends among the contemporary female writers of his age, notably George Eliot whom he greatly admired for her early works. The First Reform Act of 1832 had substantially enfranchised the urban middle class. A Second Reform Act was debated and discussed in various forms for years and the 1866 version was defeated. A further attempt by Disraeli was undermined in particular by an amendment to introduce the franchise to women. Finally a very comprehensive Act was passed in 1867 by the Conservative Government which was far more comprehensive than many had expected. Properly called the Representation of the People Act 1867, it immediately enfranchised 1,500,000 men. All male urban householders and male lodgers paying £10 rent a year for unfurnished accommodation got the right to vote. This Act almost doubled the electorate, nearly half of which were now working class. It also reduced the number of small borough seats controlled by patronage. In Victorian times, Parliament consisted of two main Parties who confronted each other across the floor of the two Houses. These were the Tories (or Conservatives) and the Whigs who were the original Liberal Party. Both Parties tended to be dominated by the involvement of their aristocratic members who often held the senior offices in Government. As suggested by their names, the Conservatives were generally resistant to change and keen to preserve the heritage and traditions of the country while the Liberals claimed to speak for positive change and reform and the needs of the working man. It was, therefore, rather illogical that it was the Conservatives who successfully achieved the Second Reform Act. As ordinary Members of Parliament (MPs) were not paid for their services this was primarily an occupation for a rich man and the usual occupation for the sons of the peerage or other major landholders. It was considered a noble occupation for the good of the country and the tenants of great lords were originally quite happy to vote for his nomination within the constituencies that he ‘controlled’. Being an MP conveyed respectability upon the individual and it is Frank Tregear’s successful election at Polpenno that contributes towards the Duke beginning to accept his ‘humble’ origins. As today, debate would begin in the House of Commons where the elected MPs would sit and then move on to the House of Lords where the Peerage, Church and Law had seats as of right. The Prime Minister and Leader of the Party in power could sit in either House dependent upon his social position. When Prime Minister, the Duke of Omnium leads his Government from the Lords and an alternative Leader of the Commons was chosen. This was originally Sir Orlando Drought. This actual period in Victorian England was dominated by the Governments of William Gladstone (Whig) and Benjamin Disraeli (Tory) who both led from within the House of Commons but, at other times, there have been examples of Party Leaders such as Lord Russell and Lord Palmerston who have led from the Lords. The Duke of Omnium, of course, heads a Government that is a coalition where no Party has a clear majority and this certainly adds to his challenges. In the House of Commons, during any period of disorder or following any offensive remark, order would be maintained by the Speaker of the House who could rule on breaches of the peace or privilege. Several scenes within the Palliser novels occur within the Commons Chamber of the Houses of Parliament and there is an example of the work of the Speaker in The Duke’s Children when Sir Timothy Beeswax describes Phineas Finn as a ‘bellicose Irishman’. Not unnaturally this draws protests from some of the Irish Members of Parliament present and they call on the Speaker to intervene and call Sir Timothy to order. This request is denied. He presumably judges that the word is not too unreasonable? Parliament could be reconvened at any time to debate issues of national emergency but, usually, each session was opened by the Queen in late January and would finish by the summer, or even earlier. The summer, autumn and Christmas periods were generally regarded as an opportunity for holidays and attending to estates and other responsibilities. Quite late starts were common but that is not to say that Members of Parliament had it particularly easy in those days. When disagreements occurred it was quite common for a filibuster to extend the debate in order to prevent a particular Bill from being passed. There was no set limit to such debate and on one memorable occasion in 1881 the House sat continuously for 41 hours while some Irish Members ‘filibusted’ by extending the discussion, asking questions of order etc in order to try to prevent the ultimate passing of the Coercion Bill. Not surprisingly steps were taken to ensure that this did not happen again. With this kind of behaviour possible it is, perhaps, easy to sympathise with the young Lord Silverbridge’s early frustration with the reality of politics. In The Small House at Allington the town of Silverbridge is represented by Plantagenet Palliser (Whig) before he succeeds to the Dukedom. In Can You Forgive Her? it is won by John Grey (Whig). In The Prime Minister it is won by Arthur Fletcher (Tory) when Ferdinand Lopez (Whig) retires. When the Duke does not interfere, Lord Silverbridge gains the seat as a Tory. West Barsetshire is influenced by both Gatherum and Courcy Castle. In Framley Parsonage it is held by Nathaniel Sowerby (Whig). However it is eventually taken by Tory, Arthur Fletcher, supported by the Duke. The upper class characters of The Duke’s Children have quite a large variety of leisure activities at their disposal and these are activities which are often emulated and adapted by those further down the social ladder. In line with much of what has already been discussed, these were generally originally designed for the pleasure of men but it is clear that at least some of them could be made available to the more active and enterprising female. Any lady who relied upon an occasional attendance at balls, novel reading or even horse riding and walking might find a suitable marriage hard to come by. Joining the men at their own activities, when this was not frowned upon, could reap its own reward. The most popular activities followed by gentlemen at this time included, horse racing, hunting, shooting, fishing, cricket and the new game of lawn tennis which was threatening to exceed the garden game of croquet in popularity. Young men might also row, own and/or sail yachts or alpine climb. The range of possibilities was considerable. Anthony was familiar with and participated in many of them. The Oaks was named after an estate near Epsom Downs leased at the time by the 12th Earl of Derby and came into being after discussions at a party there in 1778. The first winner was called Bridget and was owned by Lord Derby. The following year, the Derby itself was run for the first time on the Downs named after the same nobleman. The oldest of these five races was named after Lt General Anthony St Leger, another keen sportsman. By the mid 1860s these five races had become regarded as the leading events on the flat and any horse winning one of them was regarded as something special. For a horse to win two of the five would mark them as exceptional while to achieve a very rare hat trick would be regarded as the English Triple Crown. The rather ill-fated partnership between Lord Silverbridge and Major Tifto can be seen against the annual calendar of these famous races. Their filly, Coalition, is their first failure at Newmarket, probably losing in the 1000 Guinea Stakes which is still for fillies only. Major losses were then incurred at the Derby when the favoured colt Prime Minister is unexpectedly beaten by Fishknife. Silverbridge then has some qualms of conscience and avoids even attending the Oaks. Prime Minister is again judged favourite for the St Leger Stakes as Fishknife will not be entered but his last minute injury incurs the greatest financial loss of all. References to weight carried which might have affected any outcome were valid as real standardisation had yet to be achieved. Anthony first became involved with Hunting in 1841 while he was living in Ireland and at the beginning of his married life. It became one of his greatest loves and he continued his involvement for the next 40 years, despite developing weight problems.. Beginning with the Duhallow Hunt, his favourite hunting areas were eventually to be in Hertfordshire and Buckinghamshire, although he also sent his horses to the Pytchley and Fitzwilliam Hunts and was aware of the excellent country of the Quorn and the Cottesmore. He was very familiar with many ‘Hunting Boxes’ like Tally Ho Lodge, owned by friends and acquaintances. These were the, usually, bachelor establishments of the hunting fraternity, situated in Leicestershire, Rutland and the surrounding counties. Each hunt would raise annual subscriptions to cover expenses and the whole organisation would fall to the Master of the Foxhounds (MFH) who would be responsible for the maintenance of the hounds and the arrangement of the meets. The MFH might be a local landowner with the right interest and resources or an experienced professional paid for by the Hunt. The Hunt would also employ professional Huntsmen. Being a member of a Hunt could be quite an expensive affair requiring, in addition to subscription or daily fee, the right clothes and, preferably, at least two horses, although these could also be hired. With access to these resources, different classes and sexes were able to mix freely and could include representatives of the highest nobility, local farmers and professionals, some of whom would be more regular attenders than others. Convincing hunting scenes are regularly included in Trollope’s novels. The Ufford and Rufford United Hunt, the Runnymede Hunt and the Brake Hunt could believably be set in any of the Hunting Shires and contain many clues and references to real hunt meetings and venues. Trollope is an expert in the use of hunting jargon and can confidently create a believable sporting atmosphere of excitement, exhilaration and occasional drama. More importantly, as this is one of the areas where men and women can meet rather informally, and perhaps get involved in a little flirtation, they often contain some strong story lines. In The Duke’s Children they are a means of Frank Tregear breaking some bones in a fall thus strengthening his appeal to Lady Mary. One of the advantages of using hunting scenes within a novel is that the novelist is able to utilise the natural variations of pace in a hunt to facilitate plot development and Trollope’s inside knowledge of the sport helps him to take full advantage of this. Throughout his works there are some wonderful and very realistic descriptions of hunting life in the widest possible sense ranging from the lifestyle of Lord Chiltern in his role as an aristocratic MFH to the real misery of ‘Black’ Daly, the MFH of the Galway Hounds, when demonstrators persistently sabotage his meetings in The Landleaguers. 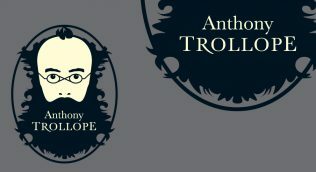 Fishing and Shooting only receive occasional mention within Anthony’s novels, despite their wide popularity. Normally these scenes take place in Ireland or Scotland but references to shooting do occur throughout the novels, in particular in reference to how the sport might interfere with hunting! Landowners had a difficult decision to make. They could preserve foxes or they could preserve game for shooting but the two objectives did not always go well together. As predators, foxes could decimate game and, at the same time, could cause great havoc to the local poultry. Although many wealthy farmers would want to be well disposed towards the local Hunt, and the MFH would generally be prompt to pay for any damage caused by them, it is perhaps not surprising that those dedicated to good days of shooting and those with smallholdings that depended on them for their livelihood, should take steps of their own to reduce the fox population. Hunting, of course, was dedicated to maintaining the fox population at a healthy level and would rarely want to kill cubs or breeding females. In the Palliser novels there is a long running argument between Lord Chiltern, the MFH of the Brake Hunt and the Omnium Estates about alleged neglect and earth stopping in Trumpeton Wood which was supposed to be an ideal breeding area. First there is an attempt to get rid of the foxes in favour of the shoot and then nobody tries to preserve the game as Plantagenet takes little interest in either. Lord Silverbridge appears to be going to take such issues more seriously in the future. The novels also include some realistic descriptions of shooting parties in Scotland. Cricket was, of course, a very ‘English’ game and, at this time, at the end of 120 years, it had become the way in which ‘an Englishmen could be recognised in every corner of the earth!’ Trollope tackles it in his view of the future, The Fixed Period and manages to predict some rather strange developments. By some it was criticised as a leveller of classes and in Rachel Ray, two curates are berated because they attend cricket matches. Cricket fixtures, of course, could take place on a Sunday. Cricket was also a sport that excluded women. Croquet allowed the sexes to mix but was not particularly popular with men so the immediate popularity of lawn tennis can be fully understood. The first unenclosed court was patented in 1874 and the first World Championships took place at Wimbledon in 1877. It was, therefore, very appropriate that Trollope should choose tennis as a sport in which the modern Isabel Boncassen could excel. As the name implies these were exclusive areas of relaxation that only gentlemen could apply for membership of. Wealth would not be a sufficient key to entry if sufficient existing members chose to ‘blackball’ the new applicant and all applicants needed to be nominated by existing members. In fact, young gentlemen of means would have already spent a considerable part of their lives in male only company. At first, in the Public Schools such as Eton and Harrow. And then in an Oxbridge College where sexual segregation continued long after the first women’s colleges had been founded. Some of Anthony’s own experiences at Harrow as a day pupil were not happy ones but he obviously retained some admiration for the establishment as many of his best loved male characters are credited with beginning their education there. In his many descriptions of London, Trollope mentions a number of actual Clubs, some of which he was a member of himself. In other cases real clubs are given fictitious names while others are created totally out of Trollope’s fertile imagination. In The Duke’s Children, The Beargarden re-appears having already been introduced in The Way We Live Now. Thought to be based on the Savage Club, early descriptions tend to suggest that it usually provides a corrupting influence on its young members among whom are Lord Silverbridge and Major Tifto. Founded in 1857, Savage Club Members addressed each other as Brother Savage and the establishment had the reputation for being the leading Bohemian Gentlemen’s Club in London. The Beargarden employed the familiar blackballing process for deciding whether or not to accept any new member. Each existing member could cast a black or a white ball to indicate rejection or acceptance and there was no appeal. Major Tifto is considered a rather dubious nomination but only two black balls are cast, The Club’s ‘mild’rules require three black balls to be given for the new applicant to be rejected and so, he is successful. Some Clubs would be more difficult to penetrate than others. The Beaufort, where Lord Grex plays whist is a real establishment where Anthony also enjoyed his game of cards. Clubs in general were, and still are, facilities in town where one could be accommodated, drink and dine, enjoy such activities as billiards and cards and relax and read the latest books and newspapers in the well-stocked libraries, among congenial companions of one’s own class. Some were for general membership while others catered for particular professions or political beliefs. Clubs could become venues for betting for high stakes where, failure to quickly settle ones debts could be immediate grounds for exclusion. In real establishments such as Brooks’s and Whites it was not uncommon for sums of around £3,000 to be lost on the throw of the dice, the probability of a change in the weather or the outcome of almost any trivial occurrence that could not be guaranteed or accurately calculated. This was at a time when the annual salary of a servant might not exceed £10 a year and £3,000 could comfortably purchase a large estate. Anthony was an enthusiastic member of several clubs including the Athenaeum, the Reform Club and the Garrick, which seems to have been his favourite. He would have been well acquainted with the current construction of Old National Liberal Club in Whitehall where the Trollope Society often has its meetings today and, by a strange coincidence, this establishment now provides accommodation for the current members of the Savage Club. Unlike the fictitious Beargarden, they are still going strong. In his novels, however, his arguments in favour of change can be very persuasive. He is sympathetic and supportive for the situations that women find themselves in and certainly deplores the double standards between the sexes.